When you first bought an arduino wifi shield you might face some problems in making wifi webserver. This is due to the firmware on the wifi shield not supporting the webserver. A latest firmware upgrade should make this work. But upgrading the firmware is quite a process for a begineer. Let me show you a simple and step by step to upgrade the firmware. 1. 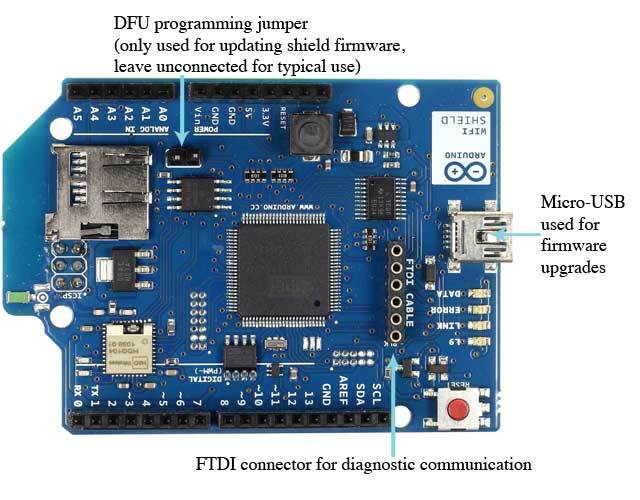 If the module is connected to arduino Uno (in this case) , unplug it from computer and sperate the shield from arduino Uno. 2. Now on the shield there is a jumper at J3. Initially it is just connected to one pin. Now connect the two pins together using the jumper as on the image below. 6. Now connect the wifi shield to computer USB. 8. Point to Flip installation folder. 10. Once the command in (9) executed successfully execute the following. 11. Once everything is okay. Remove the jumper and USB. 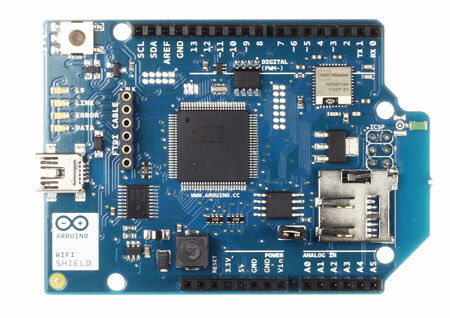 Reconnect the wifi shield to Arduino and upload webserver example in the Arduino IDE to test out. In case if you want to check the version of the current firmware, just insert the code below in the void setup() section to print the version information in serial monitor. Voila your successfully upgraded your wifi shield ….. This entry was posted in Arduino and tagged Arduino, Upgrade, Wifi Shield.